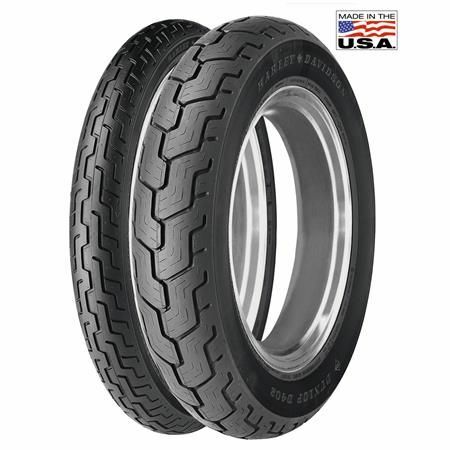 Dunlop® D402 Tires are engineered and tested with Harley-Davidson® to provide maximum performance for touring bikes. The tires have three-ply polyester casing with two fiberglass belts for greater load-carrying capability and stability. The offset center groove improves confidence in wet conditions.